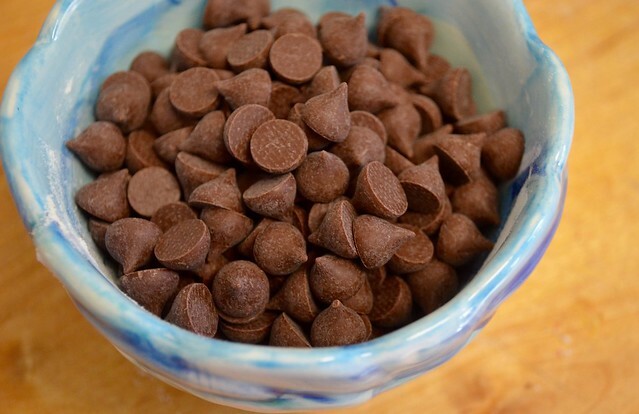 Well, guys, today is National Chocolate Chip Day. I think that's a pretty big deal. It's not National Chocolate Chip Cookie Day or National Chocolate Chip Waffle Day, though you could definitely use either of those avenues to celebrate. No, today is just about the chip. Because think about it, what can a chocolate chip not improve? Granola bars? Sure. Cookies, brownies, quick breads? Done. The humble cookie? Hats off to you, Miss Wakefield. 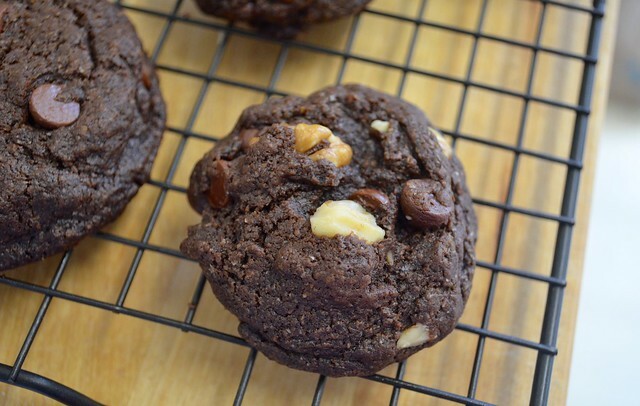 Yep, the chip changes everything, including this way-too-decadent-for-a-weekday double chocolate cookies. Which, surprise, are vegan and just as easy as your traditional cookie doughs. Preheat your oven to 350 degrees. Begin by beating together your coconut oil (which should be softened to the texture of butter, so room temperature but not liquified) and sugars. Add your almond milk and flaxseed and continue to combine for one minute more. Once things look pretty well mixed, add your vanilla. Add you flours, folding in after each 1/2 cup addition. 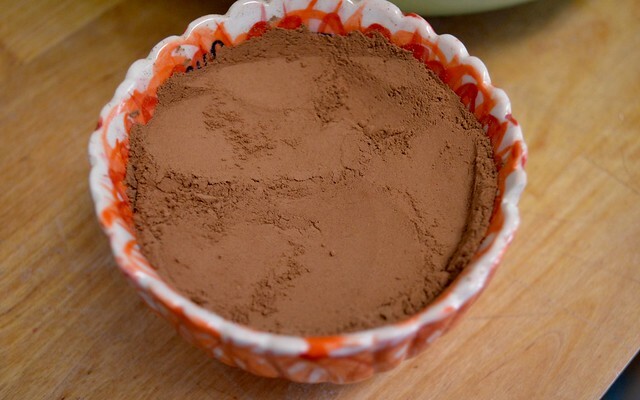 Add your cocoa powder, salt and baking soda and continue to fold. Finally, the reason we're all here, chocolate chip time! Fold those bad boys in, too. 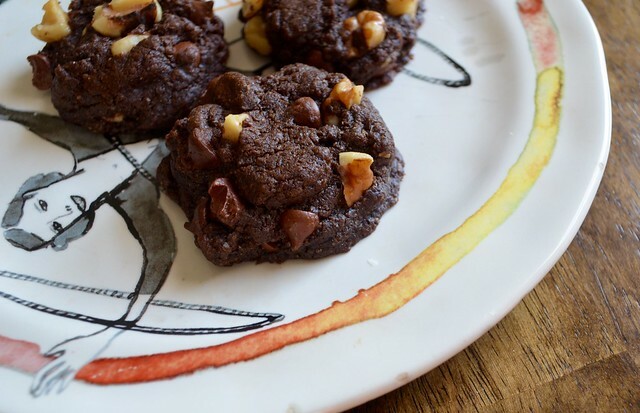 And if you're going to use them (which you should, because in a cookie this chocolate-y, balance is key), the walnuts. Now, depending on how soft your coconut oil was when you started, we're looking at two possibilities here: your dough is perfect, just as cookie dough is and should be. And hey, you should take a swipe of it because it's vegan and there isn't any weird raw egg to make you think twice about it. Or, if you're also in the middle of a feels-like-summer spring, you might notice that your dough looks a little too soft. No big deal: just pop it in the fridge for about ten minutes before you bake. Let's get to the oven! On lightly greased cookie sheets, place your dough about two inches apart, using about 1 1/2 tablespoons per cookie. Bake for 10 minutes then rotate the pan and bake for another 5 minutes. 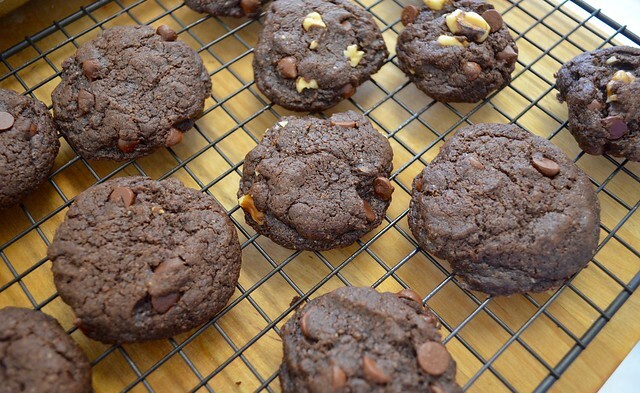 With chocolate cookies, it's hard to tell when you've achieved that golden-look that you go for in a cookie. So just peek under the bottom of one if you aren't sure. Is it slight darker than the top? Does it not fall apart when you move it? If the answer to both of these is yes, you're safe to remove from the oven. Let cool on the pans for about 5 minutes and then transfer to wire racks. You should absolutely 100% eat these while they're still warm. I wouldn't coin myself a typical chocolate-chocolate person, but a national-named day is for going big. They are super-duper rich, which is not something you'd expect of a vegan dessert, but it's true. Happy celebrating! 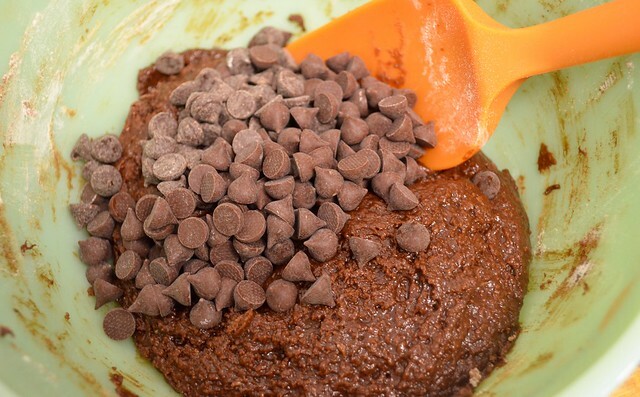 Looking for other ways to exalt the chocolate chip? These chocolate chip ricotta scones are not messing around. 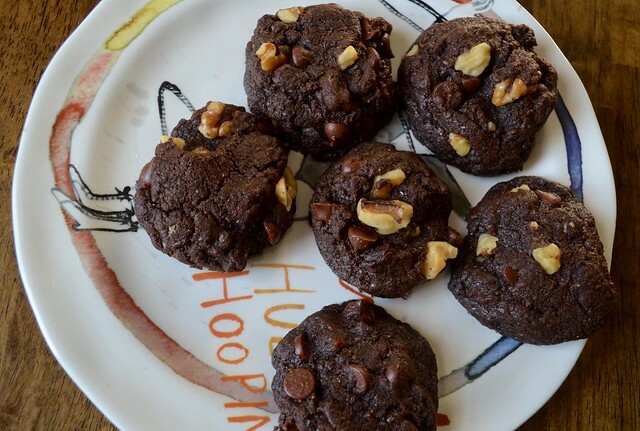 The secret to these gluten-free chocolate chip cookies is Bob's Red Mill GF Oat Flour. Hold the cookies? Don't be crazy. But do try these chocolate chip coconut granola bars.